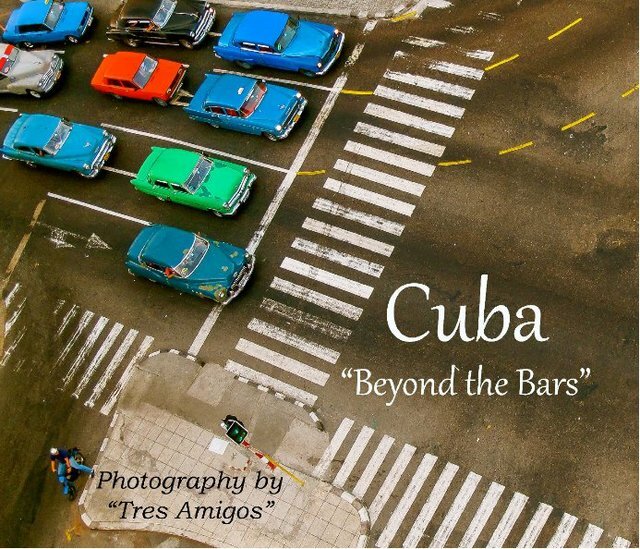 Cuba Beyond the Bars – “Another Cuban Paradox” -- a collaborative photo book about Cuba a place where the realities of day to day living are filled with paradoxes. You may meet a taxi driver or bar tender who is a doctor or engineer, You may see a 1955 Chevy with a beat up body but under the hood is the engine of a modern vehicle, You may see dirty streets and very clean-looking people, You will see the very poor and desperate but they may be well dressed. As you stroll the streets of Havana or other Cuban cities you invariably will see bars everywhere, bars on the widows, on the doors, entryways, driveways. Mostly they are old, antique wrought iron, very ornate remnants from the last two centuries yet still integral to Cuban life today. With bars everywhere it would seem like a high crime place where people are paranoid about safety. But it’s just another Cuban paradox even in poor neighborhoods filled with crumbling dilapidated buildings it is a safe place, crime is relatively unheard of. Yes bars keep pets and the little ones in and keep strangers out. But more importantly it’s what the bars don’t block. In a place with high electricity costs and few air conditioners its the bars that enable a cooling breeze to enter the house offsetting the humid tropical heat, it’s the bars that let in light and the bars that serve as window counters for local sandwich or cafe con leche vendors. The bars may be everywhere but they let in more than they keep out, another Cuban paradox.